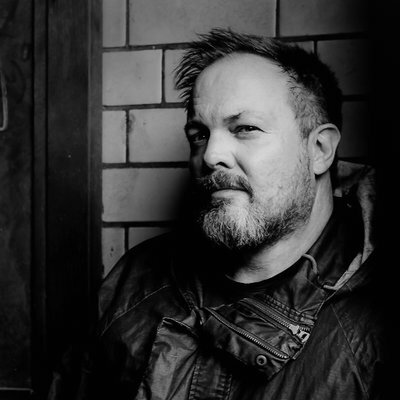 Short, punchy chapters make Guilt a rocket-fuelled read. One sister is dead and one is in jail, but which is which? I changed my mind SO many times, so I can either say I was right or wrong, but one thing I'm sure about is that I was thoroughly entertained whilst reading Guilt. 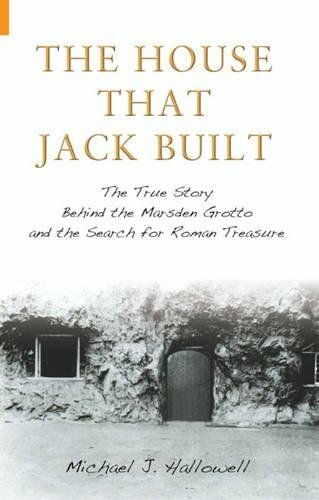 The bright cover caught my eye and, having seen lots of chat on social media, I snapped up a copy when I saw an ebook in my local library. 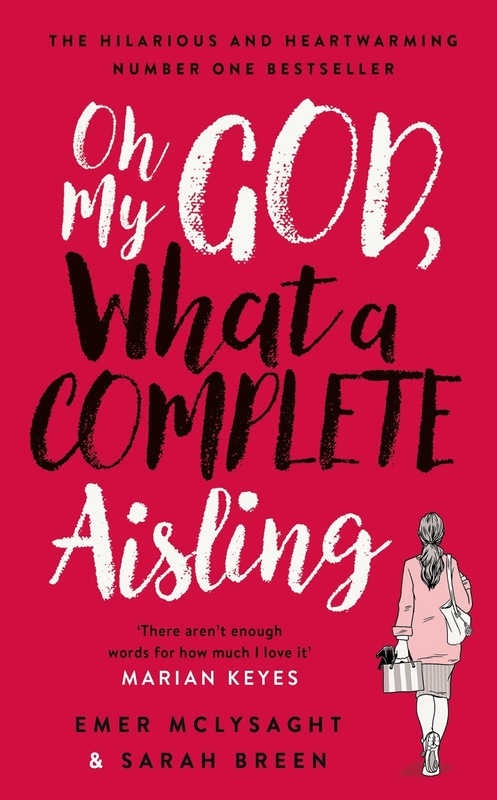 This is the sort of book you would pick up on a weekend and never put down, however, I chose this as my 'day' book so I read it over the course of 3 days. 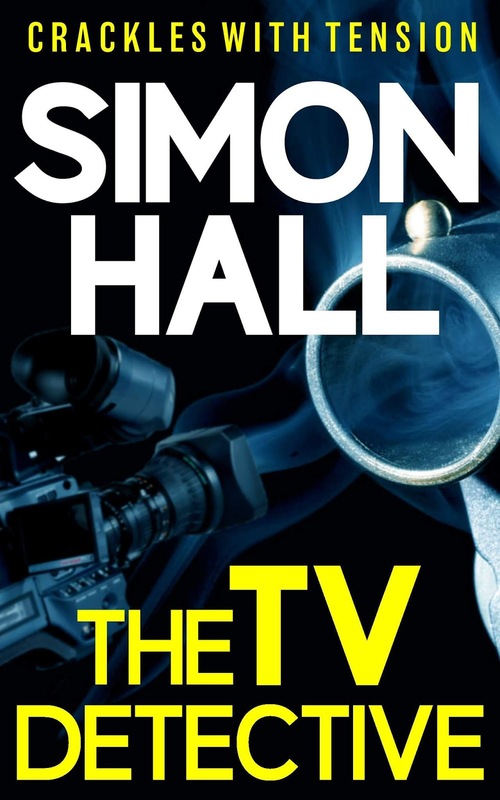 It is so cleverly written that you don't know whose voice you are listening to in the present as you investigate the past. Zara and Miranda are two sisters who were so close that they lived together. Miranda has always felt as if she had to look after Zara, for reasons that become clear when you start reading the book, but now Zara has found Seb she doesn't need Miranda so much. 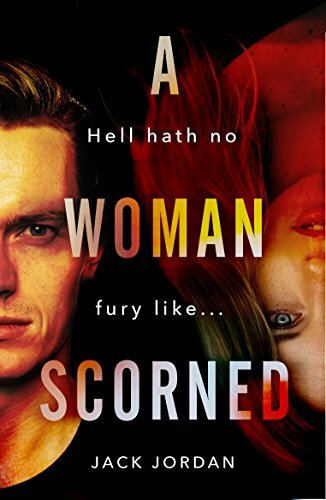 Seb seems to be the perfect boyfriend for Zara on the outside but inside he is dark and twisted and is determined to tear the sisters apart forever. Why would he do this? How would he even manage to come between two very close sisters? All this and more are answered in Guilt. 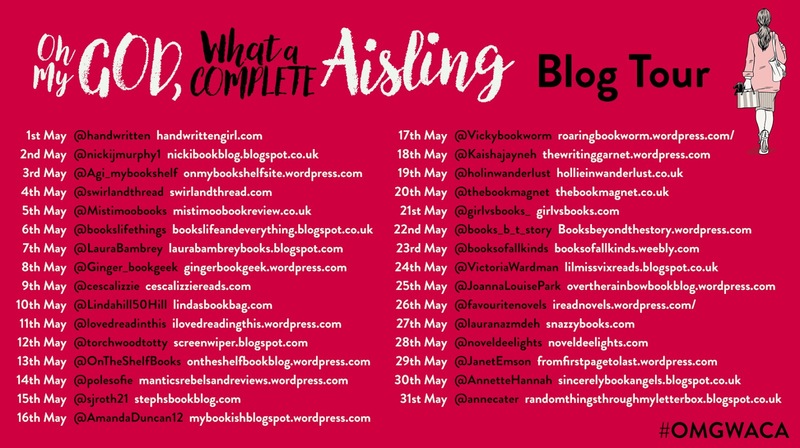 I absolutely loved Guilt; it is just the sort of book you need now and again to reinvigorate your reading mojo; the type of book to get your heart racing and your eyes greedily devouring every last word. I do have a copy of Amanda Robson's debut, Obsession, in my own library so I definitely plan to read that soon. 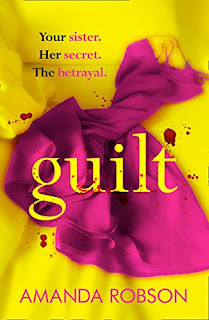 Guilt is a fast-paced, thrilling and compulsive read that had my heart pounding and my brain twisting; Amanda Robson has definitely secured a top spot in the psychological thriller genre with Guilt. Wow! This book is SO good. It's my first Caroline England book but I did buy a copy of her debut, Beneath the Skin, a little while ago; I just haven't had the chance to read it yet. I will be remedying that shortly if My Husband's Lies is anything to go by. One thing I would say before reading it is to write down the names of the characters as the four couples are introduced in quick succession so it would be easy to forget who was who. There is a 'blip' on Nick and Lisa's wedding day in the form of one of their guests balanced precariously on a window ledge. I felt like I was in a cartoon as my eyes popped out of my head - what a cracking start. As we find out more about this group of friends, we can perhaps make sense of the window ledge scene but there is more to this story than first meets the eye. Dan, Will, Nick and Jen are friends from school who have stuck together through the years as part of the renowned A Team. Boy, do they have some secrets between them and we get to examine their lives through a microscope thanks to the fantastic story created by Caroline England. Jen was always the honorary boy of the group but as they grew up and each of the boys fell in love with her, one of them captured her heart. That's all over now that Jen is happily married, isn't it? 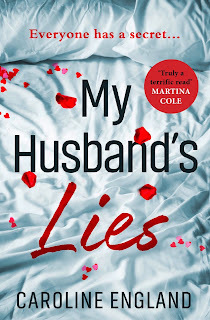 Dan is about to become a father but he feels an attraction that he can't resist and it isn't his partner, Geri, who is causing his heart to race. After a throw away comment at his wedding, Nick uncovers a family secret that could become an obsession and destroy his marriage to Lisa before it even begins. Will, in my opinion, is the linchpin of the group but a job offer could see him jetting off to the Caribbean and fracturing the A-Team as we know and love it...or is there a threat to the group from another source? This is the point where you would hear the dramatic drum beats of the Eastenders theme tune. 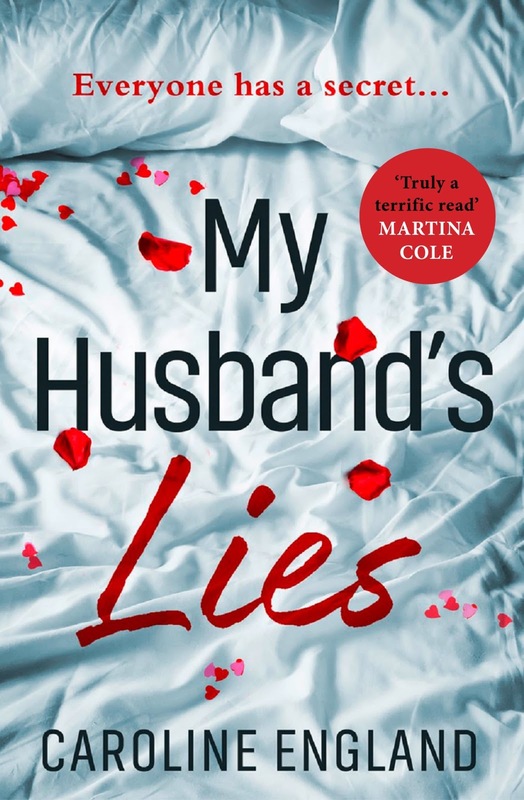 My Husband's Lies is a soap opera in a book. At first I thought it was like Friends but then it became apparent that so much drama likened it to Cold Feet with the almost 'who shot JR' tension of Dallas. 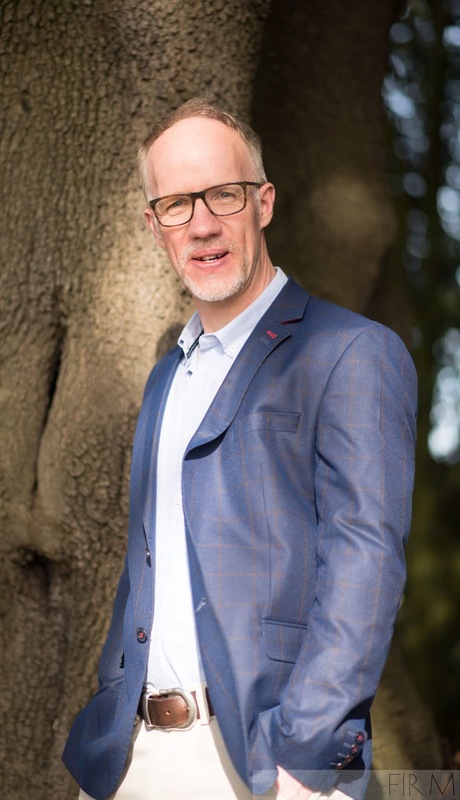 I was surprisingly emotional towards the end as I had come to think of the group as my own friends and I was quite tearful at the thought of the group being split by the Atlantic Ocean. Then BOOM! 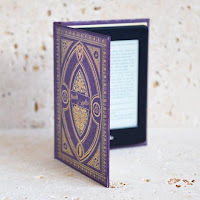 Caroline England played her ace and I gasped out loud and sat open mouthed as I read the final scenes. If this had been a play, I would have stood and applauded whilst exclaiming 'bravo'! Dark, gripping and utterly, utterly compelling you will struggle to tear your eyes away from the pages of My Husband's Lies. 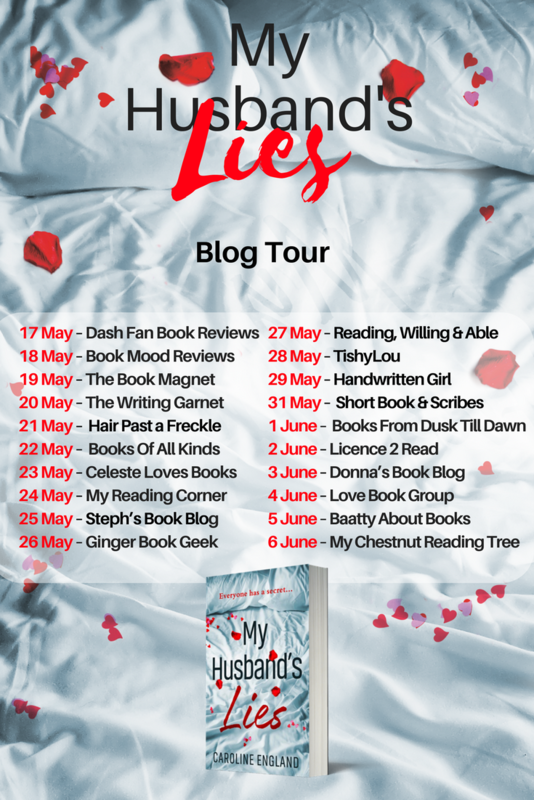 With a few husbands to choose from, which one is lying? Or is it all of them? An absolutely brilliant book; I was captivated from first page to last. 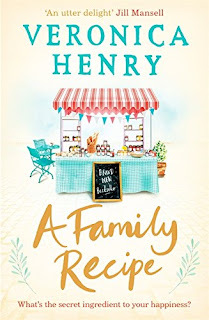 I adore Veronica Henry books; they are filled with family drama but ultimately envelop the reader in such a huge hug that I always find a smile on my face at the end. 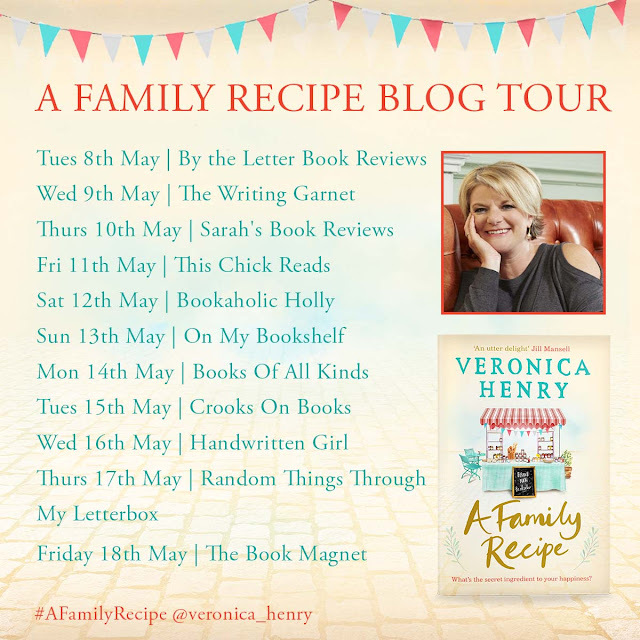 I was thrilled to get a spot on the blog tour for A Family Recipe and I am delighted to share an extract along with my review to bring the tour to a close. Do make sure you visit the other blogs on this delicious tour. 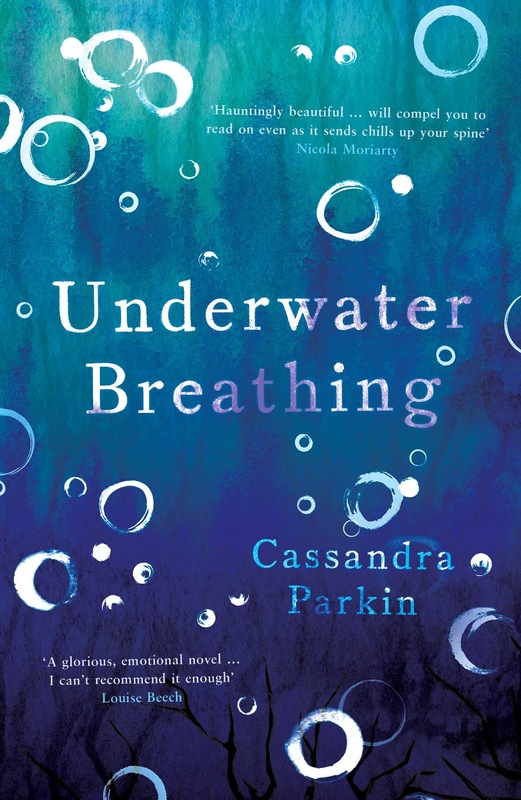 Click here to read an extract from Chapter 2 where Laura is preparing to send her youngest daughter, Willow, off to university in York. Then come back and read my review below. I think this is the best Veronica Henry book I have read to date. With a dual timeline of 2017 and 1942, it's like two books in one and as I discovered the history behind 11 Lark Hill, my heart was warmed by the heat from the Aga, sitting in pride of place in the busy kitchen. Laura has always been overprotective of her youngest daughter as Willow suffers from chronic asthma. The thought of Willow going off to university in York is absolutely terrifying for Laura as she won't be able to keep such a close eye on her anymore. When Laura and her husband, Dom, are driving back from dropping Willow off in York, Laura discovers a secret that Dom has been keeping from her. Not only is her marriage under threat but also the home that has been in her family for generations. Number 11 Lark Hill was a very different place in 1942 as the bombs fell on Bath and everyone had to keep up a stiff upper lip. 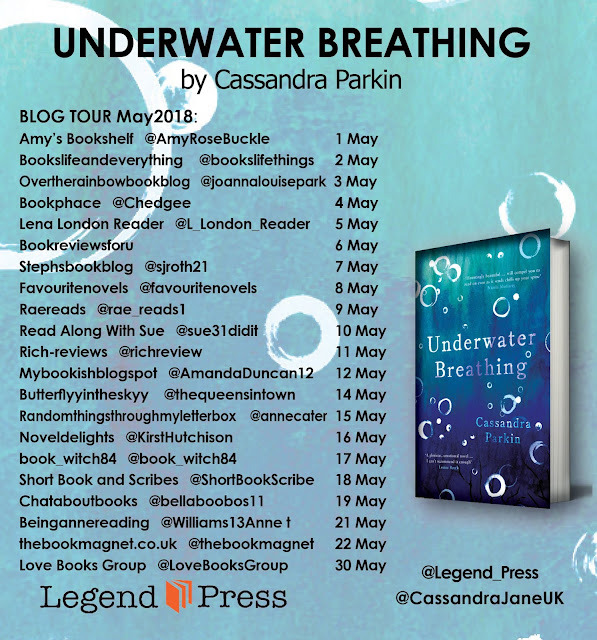 Jilly fell in love the night the bombs fell but, with Harry off to fly in the airforce and suddenly finding herself alone in her home, the future isn't quite what she dreamed of as she takes in a family whose home was destroyed in the blitz. With the help of her exuberant friend, Ivy, Jilly is the perfect embodiment of wartime spirit, especially when the household is set to get a new addition. I can't even begin to tell you how much I loved A Family Recipe. The female characters are so strong that you can't help but admire them and the whole family unit brings a smile to my face just thinking about it. The friendship between Jilly and Ivy is so heartwarming as they have been inseparable for decades. Despite it being 2017, I felt Laura showed her wartime spirit as she kept calm and carried on. Family is so important to both main characters as we discover the tears and laughter both in their past and present. 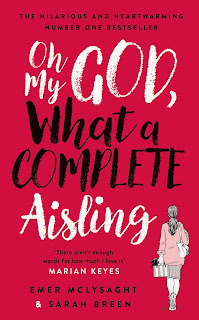 Filled with family drama across several decades, A Family Recipe is so deliciously moreish that I could have quite easily devoured it in one day, but instead I savoured every single exquisite page that I read. 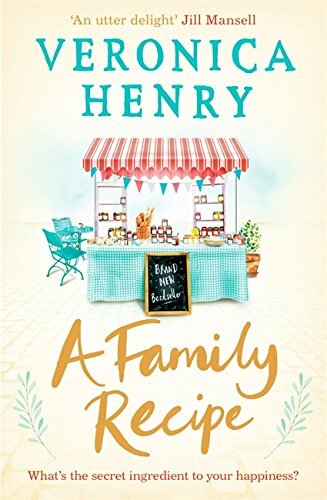 A Family Recipe is a mouth-watering feast for the eyes and there's even a yummy recipe for apple and date chutney that I just have to try for myself. 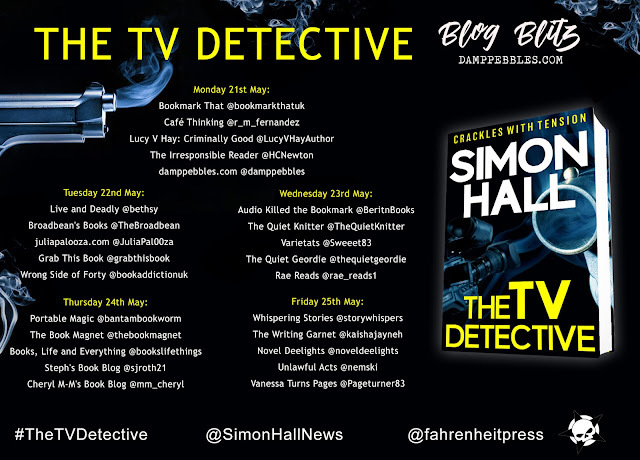 A highly recommended read from the delectable pen of Veronica Henry. Blackbird Books don't publish a lot of books, compared to other publishers, but when they do it's sure to be a good one. 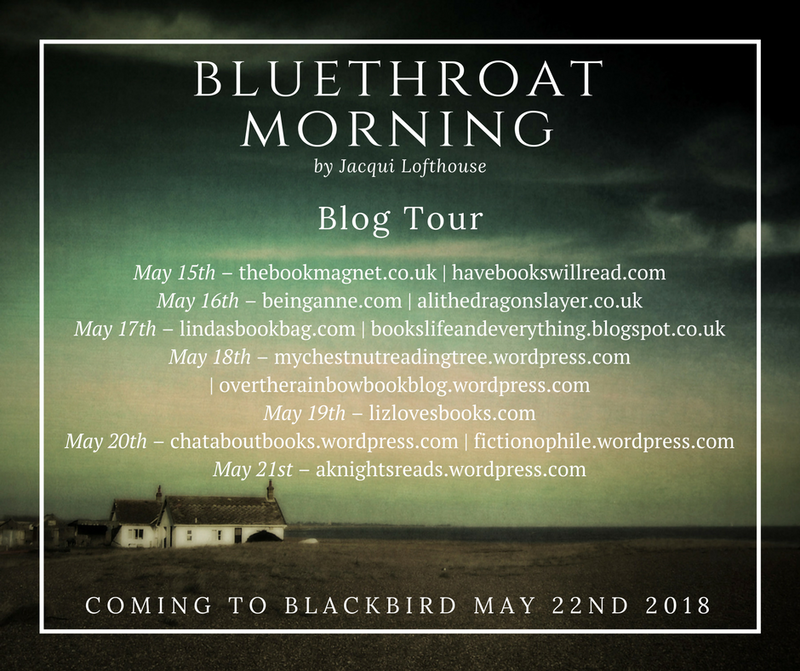 Quality is the word that springs to mind when I open a book published by Blackbird Books and Bluethroat Morning by Jacqui Lofthouse is of such an outstanding quality that I feel the need to shout it from the rooftops. Harry Bliss has to deal with the awful after-effects of his wife's suicide. A successful model then author, Alison Bliss walked into the sea at the height of her writing career leaving a burnt manuscript behind. All fingers pointed at Harry for burning Alison's next novel but he professes his innocence. Even after six years have passed since her death, Alison Bliss still intrigues young and old alike. An old family photograph of Harry's was the inspiration for Alison's lost novel and the woman in the photograph bears an uncanny resemblance to Harry's friend's nineteen year old daughter, Helen. Harry is drawn to Helen, albeit he doesn't resist very much, and the pair pick up Alison's trail which led to her death. What secrets did Alison uncover when she stayed at Hope Cottage in Glaven? 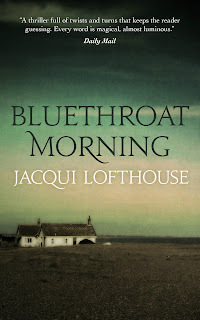 There is so much to talk about in Bluethroat Morning; among other things there are Bliss family secrets, Alison's personal insecurities and Harry's mid-life crisis. Although heartbreaking to read, it was quite eye-opening to read how insecure beautiful, successful Alison Oakley/Bliss was. 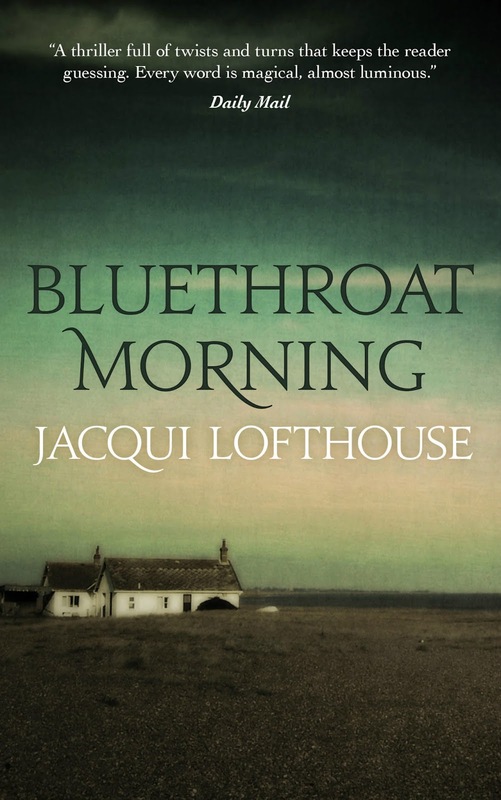 Beauty doesn't necessarily equal happiness and I so wish that impressionable young women read Bluethroat Morning to understand that. I loved the almost treasure hunt style of unearthing family secrets. Charles Bliss and his new bride, Arabella, along with Charles' son, George, are in the old photograph that intrigued Alison so much. George is Harry's grandfather who died before he was born. The mystery surrounds Arabella though, as she also mysteriously committed suicide in Glaven. On to Harry's mid-life crisis. As inappropriate as his relationship with Helen was, you can't help who you fall in love with. 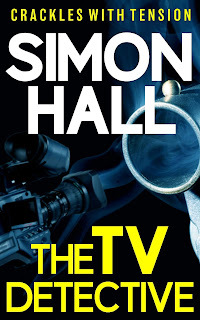 The question is whether it was love at all; he used the word to keep Helen from running back to her parents but he knew exactly what he was doing and naïve Helen believed him. Don't get me wrong, Helen wasn't as innocent as I perhaps make her sound but I certainly think that Harry manipulated her for his own ends. One final thing I have to mention is Alison's reminiscence about a holiday in my native North East of England. Although I'm a Jarrovian, I was born in South Shields and spent many a Sunday exploring Marsden Rock (before the collapse of the arch). Jacqui Lofthouse's description of these beautiful limestone sea-stacks is absolutely sublime and I was effortlessly transported to Marsden beach through her stunning descriptions. 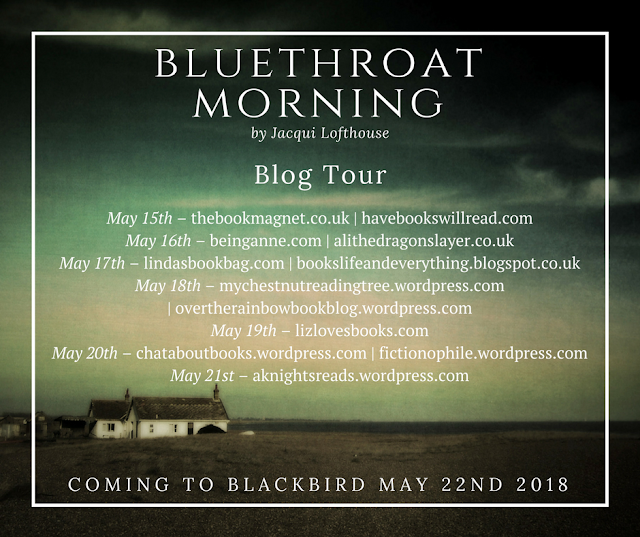 Bluethroat Morning is an impeccable piece of fiction that has the feel of a literary classic and I got the impression that Jacqui Lofthouse has carefully chosen each and every single word. It's a book that will fit across many genres and definitely one I would recommend for discussion at book clubs.